Hobby Horses Race Night at Jaguar Land Rover! A huge thank you to VP&S, a department within Jaguar Land Rover, who hosted a charity fund raising event on Friday 9th November and raised much needed funds for APP! 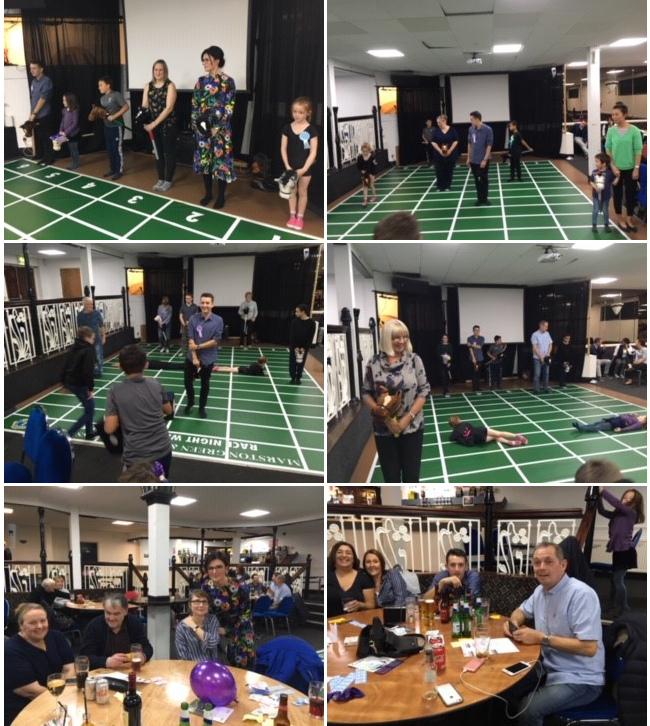 "We raised £1120, which was split between The Marston Green Lions, who ran the evening for us, Brain Tumour Research and Action on Postpartum Psychosis. The evening took the format of horse racing - the main difference being the horses were hobby horses! There were seven races, containing six horses each; there was an opportunity for race goers to ‘buy and own’ one of the 42 horses, and if your horse won – you got half of the auction money, the other half going to the charities. The purchasing of horses, was a quiet affair for the first couple of races, but it soon gathered pace, with the six horses in the final race, being auctioned off for the princely sum of £167 in total. We had a raffle, which raised a considerable amount of money too. Thank you to Solihull Moors FC for providing us with the room for the event and to all those, who sponsored races, supplied raffle prizes and made monetary donations." And it looks like they had a really fun evening! A very big Thank You to everyone who took part!